You have 2688 characters. Don’t forget to add important and relevant keywords in your description to improve your iTunes app page and optimize your SEO. Want more friends and music lover? 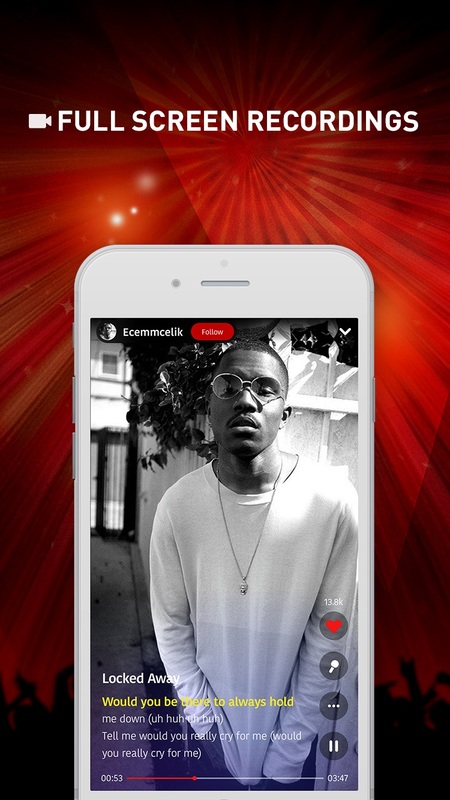 With trusted by more than 50M users, StarMaker Lite is No.1 popular karaoke and simple stream network among Global Community. 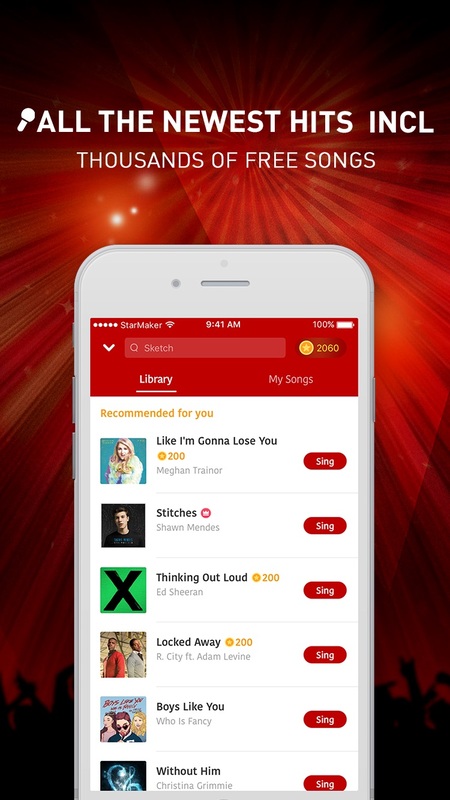 StarMaker Lite offers biggest global and Desi song catalog, you can find Ed Sheeran, Shawn Mendes or your local tunes. You can either free style or collab with other users by exclusive camera flitters and voice editor. New feature ‘take the mic’ offers you an open stage that you can compete to sing the provided lyrics card, challenging the speed of getting the mic with 5 other users. It’s a talent show to see who is the awesome king of live singing. Let’s enjoy world’s beats! StarMaker Lite Karaoke New Functions! StarMaker Lite offers several VIP Subscription packages that unlock unlimited access to our Weekly new releases, plus our premium song catalog. Subscription purchases are charged to your iTunes account upon confirmation of the purchase. All subscriptions will AUTOMATICALLY renew unless auto-renew is turned off at least 24 hours prior to the end of the current period. Your iTunes account will be charged a renewal price equal to that of the original subscription within 24 hours prior to the end of the current period. You can manage your subscriptions and turn off auto-renew by going to your Account Settings after purchase. Subscriptions are non-refundable and may not be cancelled during an active subscription period. Having trouble? Contact our customer service at appsupport@starmakerinteractive.com, we’ll be happy to help you with any problems!